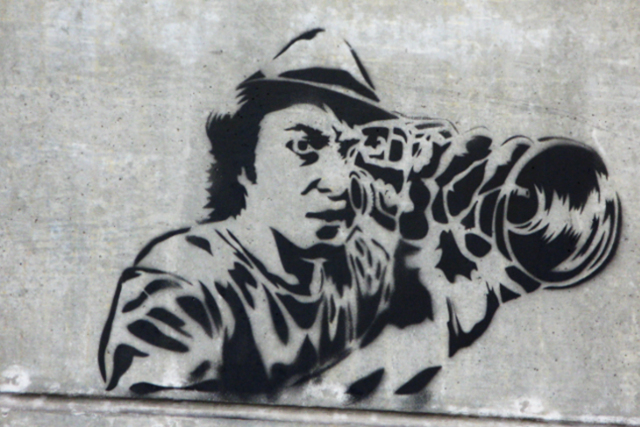 A cameraman stenciled on a wall in London. Credit: Julian Tysoe. There isn’t a free press in Britain: mainstream media is dominated by a small number of oligarchs – politically motivated owners – subverting our democratic system. And if we continue to fail in challenging this concentration of media ownership, we run the risk of yielding to one of the most unaccountable and effective forms of political power and influence in modern Britain. It is to that end why the new Labour leader, Jeremy Corbyn and deputy leader, Tom Watson are voices to support in the debate backing urgent measures to tackle media power and to help push for media plurality. On Saturday, Corbyn took the immediate opportunity to warn the press in his victory speech, appealing to journalists to leave the people who are not in the limelight alone under all circumstances. He commented on the appalling levels of abuse towards his family during the campaign and that it had been, “intrusive, abusive and wrong.” With some journalists in the mainstream media reliant on an ad hominem argument or smears with no factual basis when attacking left-wing journalists, Corbyn in the first few days as Labour leader rightfully refused to speak to the Daily Mail and The Sun amongst other papers that are unrepresentative and unfair when reporting on his politics. But his silence speaks volumes in the discussion that more needs to be done in order for public trust to be re-established in the media. “A society in which 70% of UK newspaper circulation is controlled by 3 wealthy families (*News UK, Daily Mail and General Trust and Trinity Mirror) is clearly unfair and undemocratic,” said Corbyn after considering a report published by the Media Reform Coalition poll last year. Tom Watson is equally emphatic in his call for more pressure to be put on politicians to deal with the “unfinished business” of press regulation arguing that the “intimidating press operates like a mafia.” There is a call for politicians to curb excessive media power but in order to achieve this, more media reform movements need to be set up with strategies to build and sustain campaigns for media democracy. One hugely influential campaign is The Media Reform Coalition (MRC): set up in 2011 to spark debate over media regulation, ownership and democracy in the wake of the News International phone hacking scandal. Its current chair, Professor Des Freedman of Goldsmiths University of London has been committed to raising issues around mainstream media and continues to write about the urgent need for media reform; recently writing for Open Democracy about the detrimental effects of the right-wing press when reporting on food banks. They host monthly meetings to facilitate joined up thinking and action around media democracy. And next month they will gather journalists, media activists, academics and trade unionists at a media democracy festival to discuss measures against damaging media concentration at both local and national levels. “Hacked Off,” another big campaign (also established in 2011) revealed a flawed system and a lack of humanity the phone hacking crisis exposed. Victims of the press raised the questions: how do we reinforce the contract between journalist and the public? How can we make sure a news section of the media delivers news we can trust and the conditions where democracy can flourish? A recent poll conducted by YouGov for MRC proved that there is public support in wanting answers to such questions: 64% of those polled would support an inquiry into the relationship between news organisations and advertisers and 61% would support compulsory rules or structures (such as genuinely independent editorial boards) to limit the influence of owners over editorial output. These criticisms emerged after the public, judge-led Leveson Inquiry investigated the culture of the press. But little progress has been made by way of press regulation since the report: suffice to say the inquiry has failed. It has not only failed to challenge the concentration of media ownership and the issue of foreign ownership. But it has by no means kick-started a change in the intimate relationships between the British media and political establishment; when all too often it works against democracy and is there to serve the interests of the rich and powerful. We simply cannot leave it to new regulators from the Leveson inquiry to make the change we need. Campaigns for media democracy are as much needed as new projects promoting independent journalism to challenge the mass media. The latter becoming a great force at local and national investigative, democratic journalism. I contribute as a writer for the site, Through the Cracks. A news website that covers reporting, storytelling and news startups made possible with the use of crowdfunding and how this use of crowdfunding can in turn democratise journalism. 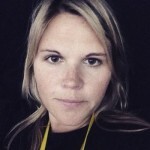 With new forms of investigative journalism popping up all over the world, many crowdfunding campaigns set out to create cutting-edge journalism that is publicly accountable and fearless in its integrity. From the Dutch site De Correspondent to Spain’s El Espanol and the UK’s InsurgeIntelligence: these models of crowd-supported media aim to publish accurate representations of stories from the refugee crisis, climate change, financial scandals to civil liberties crises. And often these publications look to their readers to be sources and be more involved than reading and sharing on social networks. To take Jeremy Corbyn’s against-all-odds victory as an example – his grassroots campaign implemented a social media strategy that offered followers a way to engage and show their support with an interesting and visually stimulating approach. Retweets, photos, YouTube interviews with independent journalists alongside a memorable hashtag democratised his media presence and aided his success, especially among young supporters: voters who want media democracy and know how to get it. The role of the media should contribute to a democratic society by informing citizens and holding those in power to account. As the mass media in Britain has shown themselves to be inadequate in this role, campaign groups such as the Media Reform Coalition and crowdfunded independent journalism platforms are vital in pushing for internal and external media plurality which this country is so desperately in need of. Mainstream media needs to once again start reflecting the society and its people’s interests in which it exists to serve and Corbyn and Watson are putting this back on the agenda.